Boundaries Have a Good Purpose…. An instructed heart…even at night. One verse and yet so many powerful possibilities. If you’re cup is overflowing with the wrong things. If you are feeling insecure. If you are feeling like you have no boundaries. If you are feeling like life is unpleasant. God never planned for you to feel this way. He longs to help you set your boundaries. He longs to counsel you. He longs to instruct you even by night. So that you can live in pleasant places. So that you will have a delightful inheritance. So that you will ultimately praise Him. Today, take a good look at your life. Where can you let go? God is all about pruning and parameters. I’m trimming hedges in my life in 2013. I’m putting up some fences. If you are feeling overwhelmed today, I’m challenging you to do the same. There is great freedom in allowing God to step in and help you set boundaries! Determine your passion and live it fully. Deepen a few friendships and be thankful for them. Read the Bible before you pick up another book….always. The Creator of the universe longs to be your Perfect Property Surveyor. Allow Him to set your boundary lines today. And trust that He knows best! Today, our county is in a tornado watch. High winds are in the forecast, along with lightning, thunder, and rain. It’s strange weather for January. our area of the country is now looking at a 40 degree thermometer drop by the end of the week. Yet, over and over again the Bible speaks through the symbolism of storms. Then the Lord spoke to Job out of the storm..
Find shelter in God’s arms. Know He is with you. He who speaks to the winds with the words, “Be still,” longs to speak the same words into your heart today. Praying you hear Him even in the midst of stormy forecasts. How God Uses Our Gifts Beyond our Wildest Dreams! Last fall, Maria, who is like a daughter to us, was trying to figure out how to go home to Peru to visit her family for Christmas. As we sat and talked with her about the cost of the trip, I had an idea. I have a dear friend in Columbus whose husband travels frequently with his job, so I decided to just call her and ask if he happened to have any extra frequent flyer miles Maria might be able to have for this trip. Pam quickly went to work, trying to help Maria get home to see her family. While she was unable to collect miles for a ticket, she was able to rally her prayer group to do something even more unbelievable. One day, about a month after talking with Pam, we received a certified envelope in the mail and in it was a check to not only cover Maria’s travel expenses but also allow her to have some money on the trip for other things. Pam, I want you to see what the generosity and love of you and your friends ended up helping to make possible in Peru at Christmastime! Maria and her family decided to visit a very poverty-stricken part of their community and bring the love of Jesus and the spirit of Christmas to children who otherwise would have had nothing. Over this open fire, they prepared the hot chocolate. Children and adults waited for their treat. Maria shared the love of God with them. They took time to thank Him for his love. Children, who rarely get more than just what they need to survive waited for their yummy drink, something Maria says they never normally have the chance to enjoy. Toys were purchased for each boy and girl. A Christmas party was created just for them! Maria handed out the gifts! And all of the children said, THANK YOU to people in America they will never meet this side of Heaven. If you support mission work of any kind, this is what your gift can do for a world that needs to see and hear and feel the love of God. Thank you, Pam and all of your friends who gave Maria a beautiful Christmas. And thank you for allowing her to then give a beautiful gift to all of these precious children. One day, I want to go hug them all. Thankful today for the way God uses our gifts to one person to become gifts to so many more. This week our district is going through a state audit. Evidence waits in notebook after notebook to “prove” that teachers and staff have been doing everything they can to provide quality education to the students here. How has man reached a place where “man” makes us so nervous??? Our goal should be to please God daily. Out goal should be to purify ourselves so that we provide within ourselves a place for Him to dwell. Yes, we want to do our best at our jobs. I don’t think this week is a week to be afraid of an audit. I don’t think any day is a day to be a afraid of being observed. We won’t be perfect in any man’s eyes. There is always room for human opinions to differ. personally, that’s the only perfection I care about these days. Moral man can do nothing to you. God’s got your week covered in His Presence. Lean back in that knowledge and have a great Monday! I woke up this morning about 45 minutes late…..
before the hustle and bustle of the morning routine began. So, I started my normal routine. The Weather Channel predicted snow a little later in the day, but WSAZ seemed to list every school but ours as one already deciding not to risk the elements. So, I continued my morning routine…. She had received a text too! We’re pathetic here, aren’t we?!?! We just love permission to stay in our jammies and have an extra cup of coffee or hot chocolate! Some things just aren’t the same at our house. Snow days are definitely a part of our life that has changed a lot over the years. This house use to hum with the sound of boys playing Zelda, fixing frozen pizzas at all hours of the day or night. This house was a house of action. and parts of me have adjusted and actually savor the quietness of a purring house. Parts of me still miss the wild days of snow boots, snow pants, and gloves scattered throughout every room. barren branches, unprotected from the cold winds of winter. I find myself having a winter heart lately. Do you ever feel this way???? It’s always risky to be transparent. If no one can relate, then I’m setting myself up for pity. I just want to know I’m normal. Today it’s worth the risk to share, because I took my winter heart outside this morning and God shared something with me that I know I needed to see and hear. He spoke to my winter heart. I felt selfish keeping His message to myself, because you may be feeling a little blue too. And when God speaks, He speaks to all who will listen. I stepped outside this morning in hopes of catching a few photos of the falling snow. As I snapped this photo, the sound of one loudly chirping bird penetrated the silence of the otherwise quiet morning. The contrast of the peaceful snow with the almost frantic calls of the bird became my focus. I wanted to see this bird. I kept thinking, it has to be right here. It flew from a bush nearby and landed right in the bush I was photographing! ready to burst forth with a nest full of little ones. And I sensed in the bird a feeling of excitement over something. I’m not sure what was going on in this bird’s little life, but in the distance I could hear other birds replying and the whole experience made me smile. To be a part of nature corresponding with nature. It just made Twitter seem so “birdly” all of the sudden……..
Who needs technology when you have wings and a beak!?!? Watching this bird brought back a moment in Nick’s cancer journey when I accidentally stepped on a tiny newborn bird that had fallen from its nest. I’ll never forget the horror of that moment as I was loading the car to leave for one of Nick’s doctor appointments. I remember vividly how I felt deep inside when I realized what I had done. In that moment, I knew God was leading me to accept something I was fighting in my own life. I am not killing Nick. and I don’t think I’ll ever forget today. Because as I walked through my backyard snapping photos, I noticed something about me………….. I cannot do with human hands what God does daily with supernatural hands. not offering cold, hungry birds a single thing. they do not worry or fret. “Birds trust Me and sing for joy even on bitter, cold January days. Don’t depend on this world for support, strength, nourishment………. Yet not one of them will fall to the ground apart from the will of God. Don’t be afraid; you are worth more than many? sparrows. what you will wear. Is not life more important than food, and the body more important than clothes? Are you not much more valuable than they? Who of you by worrying can add a single hour to his life. Praying you find peace, joy, and hope knowing that just as God takes care of every bird, He longs to take care of you. How Dark Can It Get and What Can We Do About It?????? You don’t have to watch the news for any length of time before you sense darkness in this world. Evil lurks in parking lots, schools, malls…..
as if denial has power over reality. darkness somehow manages to get darker. I wonder how the Egyptian people felt as plague after plague overcame their land. The plague that stood out this morning as I read didn’t involve flies or locust or hail. No, it wasn’t a plague that brought physical discomfort or pain. It was a plague that brought a feeling from the lack of something. The absence of light can be that powerful. I’d say they could feel all the way to their bones. Scriptures goes on to say that it was so dark that no one could see anyone else and for three days they were unable to even leave their homes. That is what I call extreme darkness. On top of this overwhelming darkness had to be overwhelming fear, because they didn’t know when it would end. Each minute that ticked by with no sign of light had to be terrifying……. But in the distance, could they see Goshen? Small flecks of light danced in the homes of the Israelites. Surely they could see this soft glow way, way off in the blackness around them and wish that somehow they could figure out a way to stumble toward it. Sometimes I think I can feel the darkness when I hear of men trying to abduct women in broad daylight. Moms and dads hurting their own children. Children killing their own parents. Countries burning other countries flags. what do we do when darkness gets dark enough to feel?? That’s what I’ve been asking myself lately. literally slip right into it and let it get the best of me. and life has gotten so complicated. So, how do I climb out of these feelings of despair????? How do I see good in a world where simply changing the channel or walking down a school hallway reminds me that the good is not always easy to find? The devil loves when we “feel the darkness” and can only sense a soft glow far in the distance, unreachable. He loves to paralyze us in our fear. I think Christians have one option in a dark world. It’s not complicated, but it’s definitely a choice we have to make daily. We have to be the light. We have to keep each other’s embers glowing. We have to remember that one light transforms a dark place. Darkness isn’t truly darkness anymore if we realize the power of our one light. I hope that today you can enter whatever world it is that God has called you to………..
A bright spot in a seemingly dark place. Allow someone to feel His presence today because you are there……..
Be Goshen today in a dark, dark world. I’ve started about ten different blog posts this morning. like I’m trying to think of something to say just to have something to say. but for some reason I feel okay about these words, because at least I’m being honest. I’m just in one of those wordless little episodes of blogging where I find myself soaking up a lot more words than I do releasing them. Like a sponge that needs to be held under a faucet for a while, I’m feeling a little dried up in my word department. I’m reading about Moses right now in my daily Bible reading, and I had to laugh this morning as Moses stood before God and felt quite wordless himself. I love that God was so patient with him, and I especially love how God continued using someone who seemed to think they had nothing to offer. Do you ever feel like you have nothing to say, nothing to offer, when people need encouragement, hope, joy, peace, or purpose? Do you ever feel like you are the person needing encouragement, hope, joy, peace, or purpose, and you just can’t seem to find someone to give you that “word” you need to make it through another day? If so, then I understand you……..
because I have been the person having both of those kinds of feelings many times in my life. I’m so thankful God has worked with people like me and you since the beginning of time. So, the forward journey this morning in this blog post has definitely not been me. It’s been Him, and when He takes over, it is so easy to let go and just let Him use me to say something I never would have said on my own. He wants to be our forward-moving helper. He wants to be the One who gives us words to say; and even more than that, He wants to be the one who gives us encouragement, joy, hope, peace, and purpose. move us inward to find His heart. He’s a God of forward movement, not a God of backspacing. On my own, I go backward, just like Moses trying to run. But with God, I step out with courage I didn’t know I had, even if the movement is just my fingers on the keys of a computer. I love that even when I feel like I am in a rut, God is moving me along towards something. And He’s moving you too. Let go and just let God take this seemingly regular-old-Wednesday and do what only He can do through you…..something spectacular!! Maybe it’s making one person see His love in a way they’ve never seen it before. Maybe it’s helping someone find hope on a dark day. Maybe it’s encouraging one student to find purpose in life when there’s not a lot of reasons to think there could be a purpose for his/her life. When we allow God to move instead of trying to move ourselves, He is ready, eager, and willing to jump in and take the lead. I hope you have one of those days where you are fully aware of His presence in you, near you, moving you, and using you………. the world needs you to be led by Him so they can find encouragement, joy, hope, peace, and purpose not through you but through Him in you. I’m thankful this morning that God stepped in and stopped my backspacing so that He could move me forward in this post. Give-Away for Someone Who Needs Comfort……. 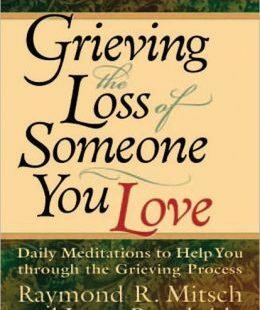 If you or someone you love is in the midst of a time of loss, I would love to share a couple of books with you that helped me in my early days of grief. but if you are, then you have a hidden desire to keep everyone around you happy. you’ve slowly started to realize that doing this is not always possible. Everyone has different needs, different dreams, different goals, different longings……..
and sometimes (many times) there is nothing we can do to keep another person happy. In pleasing Him, I can live at peace with most everyone around me, and honestly, help them more by turning them to Him not me for counsel, advice, support, and love. I want to please Him above everyone else. When I went to Biblegateway.com, I found all kinds of verses about pleasing God. This morning, I am listing only a few of many. I hope you’ll take the time to look some more up in your Bible concordance or online. What if we all chose to focus on pleasing God today? Live as children of light (for the fruit of the light consists in all goodness,righteousness and truth) and find out what pleases the Lord. I urge, then, first of all, that requests, prayers, intercession and thanksgiving be made for everyone- for kings and all those in authority,that we may live peaceful and quiet lives in all godliness and holiness. This is good, and pleases God our Savior, who wants all men to be saved and to come to a knowledge of the truth. Through Jesus, therefore, let us continually offer to God a sacrifice of praise-the fruit of lips that confess his name. And do not forget to do good and to share with others, for with such sacrifices God is pleased. When we choose to please God, we begin to measure success with a different ruler than the world uses to measure success. We begin to slow down and realize life is a gift to be savored not a mad dash to get all we can get before we die. We begin to soak up conversations with people we love rather than rush through life to the “next thing” on our list of things to do. We begin to prioritize choices so that man is not controlling our hours, our free time, our peace or lack of it. We begin to see everyone through the eyes of Him who made them. We begin to have compassion in places we once had intolerance. We begin to speak words that bless not curse. We begin to love unconditionally. We begin to be Him to a world who needs Him. It’s one of those mornings where I’ve spent way too much time checking the weather channel and WSAZ for any sign of a school delay. The temperature here teeters between 32 and 34 degrees with a steady, bitter cold rain falling from the sky. My Bible reading this morning was pretty much the genealogy of Esau, which in and of itself wasn’t that enlightening..
so-and-so begat so-and-so over and over again. Yet, I know this gives us a way to measure time and history, and it shows how people are connected to each other. each of these “so-and-so’s” is a me and a you. It’s someone who lived, breathed, impacted those around them, and then died. Because one day, we will all be part of a list in a genealogy record, and then what? And I’m just thinking the second statement is more true than the first. Maybe not to the whole planet, but we all matter. So, today, my prayer is that you will see yourself as someone who matters to someone else. Maybe it’s a kind word to an employee at a store or a note mailed to a hurting friend. Maybe it’s something you do around your house that turns your house into a home…..
lighting a candle, turning on soft music…..
Just know today you are more than a name in a genealogy. And God is just as faithful today as He was two thousand years ago……..
keeping his covenant of love to a thousand generations of those who love him and keep his commands.